This gallery features web-resolution images. For additional and higher resolution images or assistance, please contact karalynn@gisco.net or 315.465.7578. 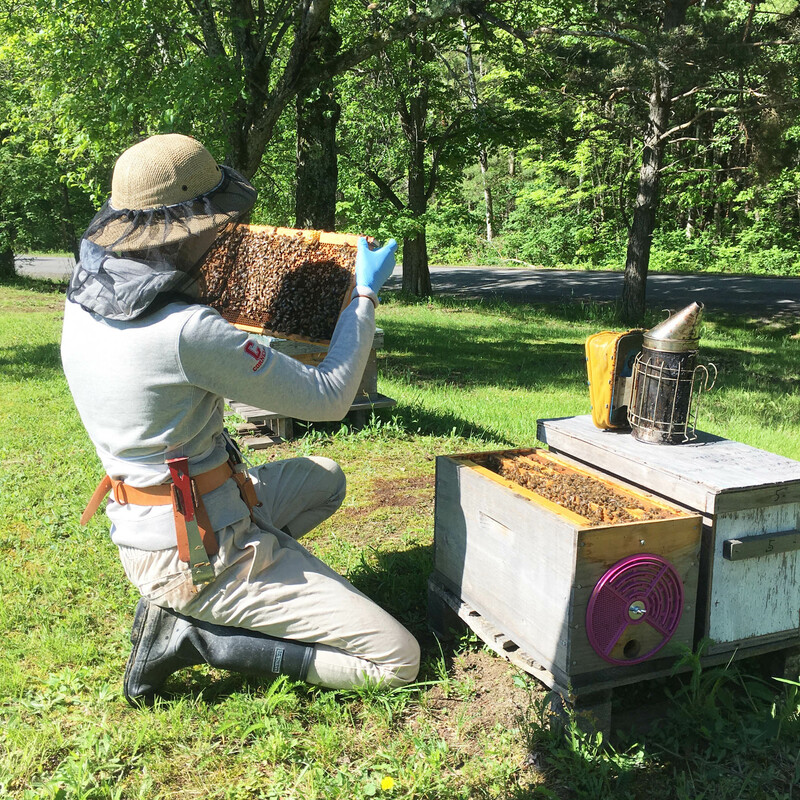 Cornell University Honey Bee Extension Associate Emma Mullen inspects a hive in Northern New York. Photo: Mary Kay Wheeler. With Northern New York Agricultural Development Program funding, Cornell Cooperative Extension educators brought Cornell University Horticulture Professor Dr. Stephen Reiners, left, to NNY for workshops with organic and conventional production vegetable growers. Dr. Reiners presented information on soil fertility and irrigation and provided growers with real-life, short-season case studies from research conducted on NNY farms. In April 2015, the Northern New York Agricultural Development Program has posted preliminary results of a survey asking regional consumers, food buyers, and farmers about their interest in developing a local food hub. At left, Dan Kent of Kent Family Growers, Lisbon, NY, at a NNY farmers’ market; photo courtesy of Kent Family Growers. 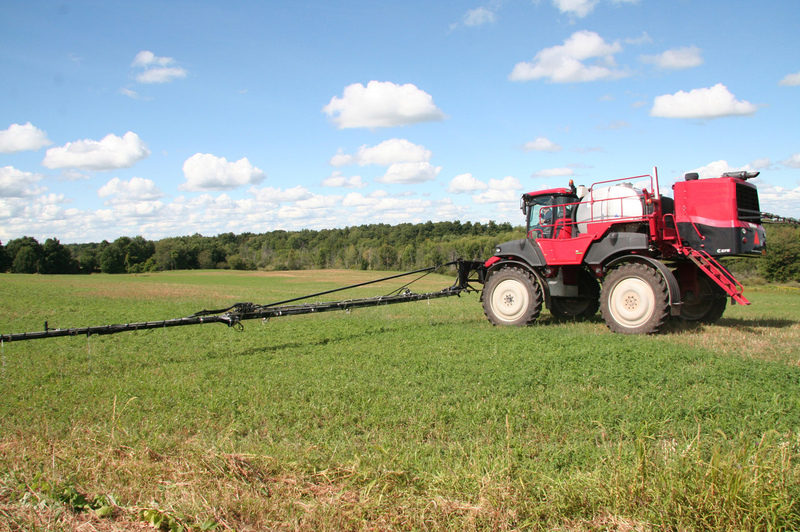 Northern New York Agricultural Development Program-funded research in 2011-2013 evaluated the effectiveness of a relatively inexpensive changeout of equipment to improve sap gain. Data analysis showed more than $12,000 in potential profit from unrealized sap yield in one 3,000-tap sugarbush in the West Chazy area. In 2015, NNYADP-funded researchers are evaluating opportunities for maple producers to add birch syrup production as an additional revenue stream. Northern Stem Canker; photo: Jaime Cummings/Cornell University. As part of 2014 NNYADP-funded NNY Corn and Soybean Diseases Diagnosis and Assessment Database project, Cornell Cooperative Extension Field Crops Specialists Mike Hunter and Kitty O’Neil scouted and sampled fields across the northern NY region. They worked directly with Cornell Plant Pathologist Dr. Gary C. Bergstrom and the Cornell University Field Crop Pathology Laboratory which confirmed for the first time in New York soybean fields the presence of northern stem canker. Reported yield losses in the Midwest have ranged from minor to in excess of 50%, so the presence of the pathogen is considered a significant factor for soybean production. NSC was identified in NNY in samples from Jefferson County; it was also identified in fields in Livingston, Niagara, Ontario, Orleans, Seneca and Wayne counties. Brown root rot (BRR), caused by the fungus Phoma sclerotioides, was first identified in New York State in 2003 in northern NY in Clinton County. The cold-weather disease damages alfalfa crops, a valuable dairy and livestock feed crop and cash crop. 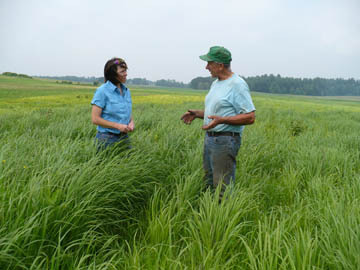 Northern New York Agricultural Development Program research has confirmed areas of BRR by field survey, has helped farmers begin to recognize the disease, and has begun creating management strategies. August 2015: A Northern New York Agricultural Development Program project report encourages farmers to consider the benefits of tile drainage to both crop production and environmental stewardship. The research is especially timely as farms face changes to the environmental standards they are required to meet and at a time when federal and state funding is available for installing the tile drainage.